Since its creation in 1893, the Sèvre & Belle brand has evolved from the small dairy cooperative in Celles-sur Belle in a place known locally as “La Vée”. Before becoming a region known for its high-quality milk, the southern part of Deux-Sèvres was mostly a wine-making area. It was only after the phylloxera blight of 1880 that this transformation took place. Indeed, the ruin of vine stocks caused many farmers from Deux-Sèvres to leave the area. It was actually the Vendéens who forged this new economy of milk production. Several years later, the Coopérative Laitière de la Sèvre took shape and created the Sèvre & Belle brand. 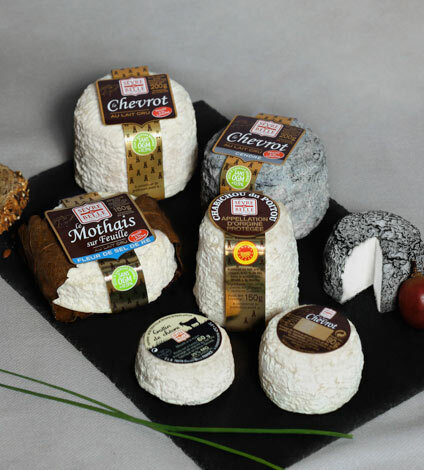 Sèvre & Belle produces AOP Charentes-Poitou butter, raw milk butter, both raw and pasteurised goats milk cheese, as well as fresh milk single and thick creams. All of our cheeses are produced in Deux-Sèvres with non-GMO milk collected within 48 hours from partners within a 30km radius of our dairy. 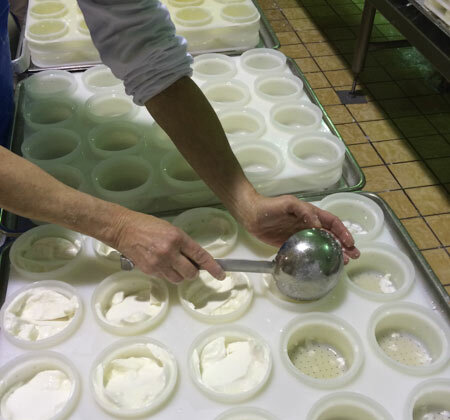 Once the milk is curdled, it is removed with a ladle and then placed into moulds to transform it into a cheese shape. 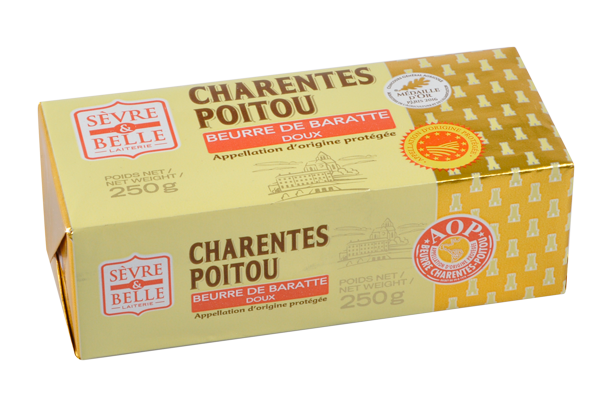 Our AOP Charentes-Poitou butter is produced exclusively with non-GMO creams from partners within a 30km radius of our dairy. 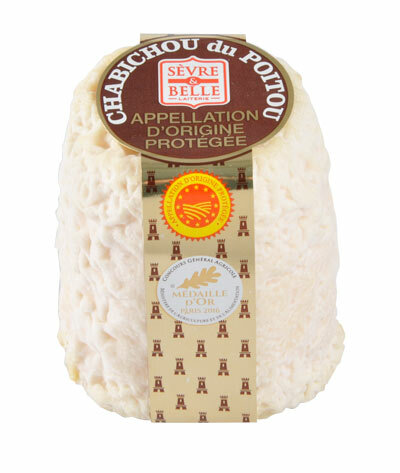 Our Chabichou du Poitou AOP (150 g) is a raw milk goats cheese. This award-winning cheese owes its shape to the piece of wood which was used to close wine barrels in years gone by. According to legend, its name is taken from the 8th Century when the Sarassins were defeated at the Battle of Poitiers. When some of them settled in the region with their herds of goats, they created a cheese named Cheblis (goat in Arabic), which would later become Chabichou. Sèvre & Belle is committed to creating new recipes for its customers – tickling your tastebuds is our priority! 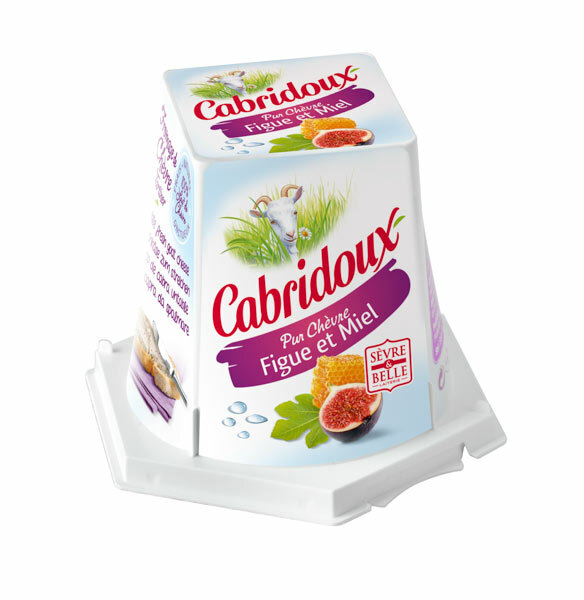 Our garlic, basil and fig & honey Cabridoux (125g) were recently released. These creamy Cabridoux are equally tasty on toast as an aperitive, as a snack or as a thickener for your soups. Their size means that you can take them wherever you like.